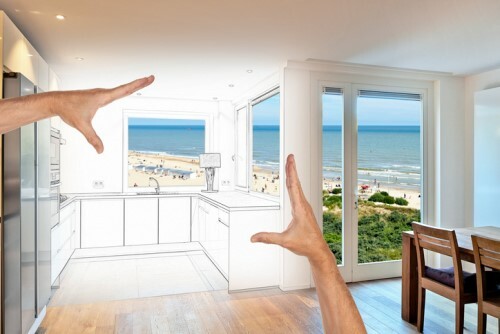 Home owners and potential sellers often wonder which parts of their home can give them the best return on investment if they choose to renovate. They are easy to replace, fairly inexpensive, come in many colour/design options, and provide great options for anyone on a budget. The best part is that the seller gets a great return on investment for not a lot of money. These are simple and cheap, but definitely a worthwhile improvement to any home. Without a doubt, any money you spend on upgrading a bathroom will be worth the effort, as it’s considered the 2nd most important room in the house. This is the most valuable room in the house – if home owners only have one place where they can opt to do renovations, the kitchen is a sure fire bet to pay off. Depending on the city or municipality, if the neighbourhood allows for Income Suites, sellers could potentially add 150-160% of equity into their home by putting in an extra suite. This allows an owner to also potentially receive additional income through a tenant that can help pay off the mortgage or as an additional investment. Depending on the specific market or city, demand for double unit homes can rise by more than 25%. Research the market area of the home – if the town or city is growing, it means more people will move into that city. Also, check if the government and other institutions are planning on investing into that market; for example, are they planning to build hospitals, schools, universities, new transit system, etc.? This may signal that as the community grows, there will be a greater demand for housing, tenant opportunities and increased equity for homes who can support the upsurge.